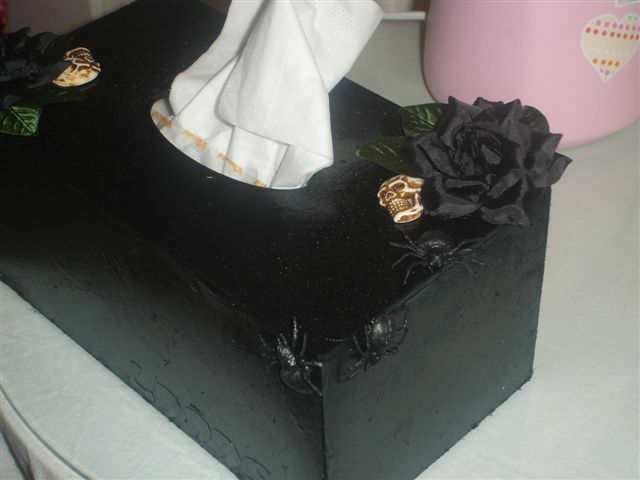 Very easy to make, we had this tissue box that my daughter had decorated when she was about 4 so I updated it for Halloween with black gloss spray paint and then hot glued some fake flowers, skulls and spiders on to it. You can get the boxes from Bunnings. 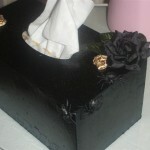 I have also seen coffin shaped tissue boxes if you are handy with a saw.